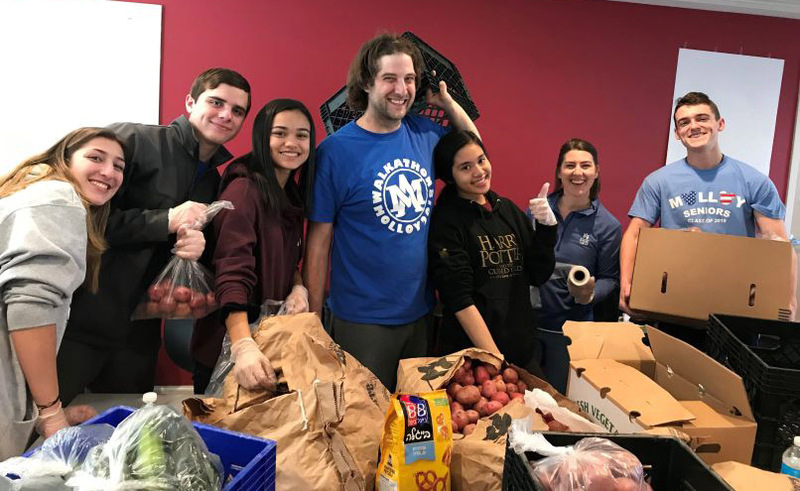 At Archbishop Molloy H.S., Briarwood, one common characteristic you can find in students is how service-oriented we are. Much of the service is centered in an organization at our school called the St. Marcellin Champagnat Society (SMCS). Named after our patron saint, it was founded in 2004 by Marist Brother Patrick Hogan and guidance counselor, Mr. Chris Dougherty. It has flourished ever since as more and more students have become involved. 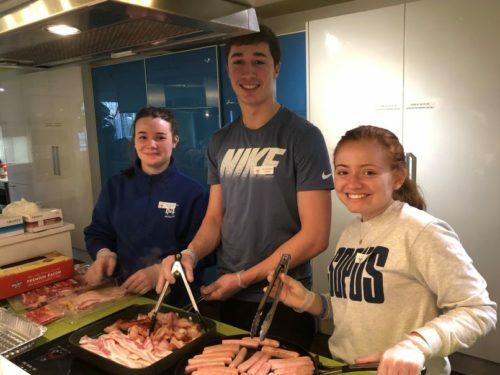 The service carried out by St. Marcellin Champagnat Society ranges from local service trips to the Ronald McDonald House of Long Island and local food banks, to national and international trips including to Arizona, Jamaica, Costa Rica, the Dominican Republic, and Lourdes, France. 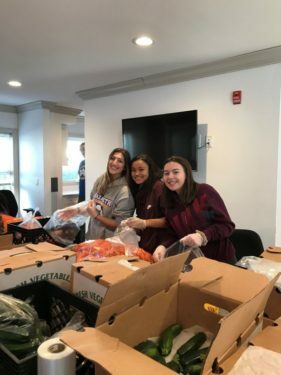 Over this past winter break, 20 students decided to share some of their time off to help others. 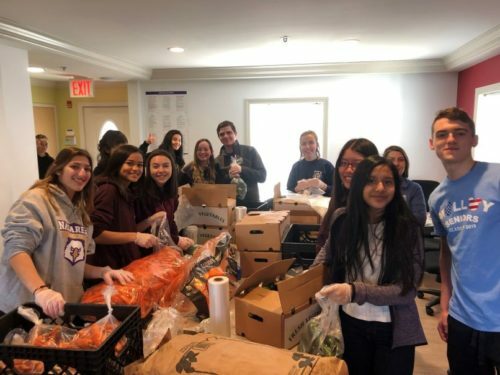 The first service trip of the week was to the Ronald McDonald House of Long Island. The house is situated near Cohen Children’s Medical Hospital and it serves as a place where parents of children undergoing treatment can stay free of charge. Once we arrived, we were given a tour of the house and then we prepared breakfast consisting of eggs, bacon, toast, and much more. 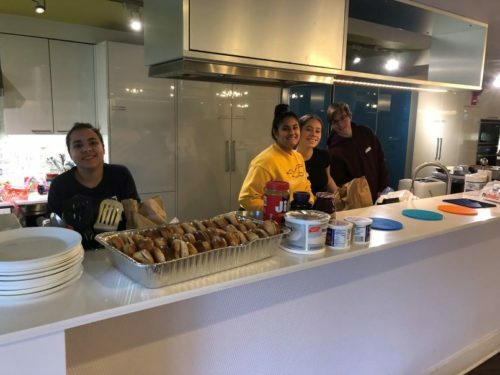 As the residents came down to get breakfast, it was so rewarding to see how happy and grateful they were for the breakfast we made. This experience really taught us that the simplest of things can give someone happiness that they are lacking in difficult times. The second service trip took place at the Central Queens Y Food Pantry in Forest Hills. There students sorted and prepared orders for food that had been requested by families. 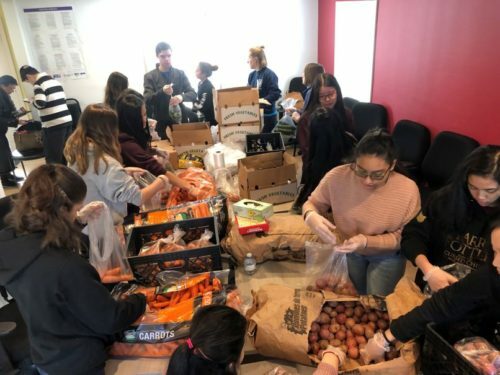 “Just seeing the looks on the recipient’s faces was such a good feeling,” said Andie Ratilla, a Molloy junior who took part in the service trip to the food pantry. Both of these service trips were simple, but we as a school community were able to make an impact in our local communities. Langowski is a junior at Archbishop Molloy H.S., Briarwood.